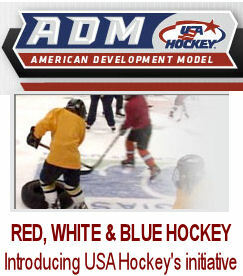 WELCOME TO THE LOS ALAMOS HOCKEY ASSOCIATIONS WEB SITE!! IF YOU READ THIS YOU HAVE LANDED ON THE LOS ALAMOS HOCKY ASSOCIATION WEBSITE!! We, the Board of Directors and volunteer staff want to welcome you to our site. We are an IRS 501 c3 not-for-profit organization. Our physical home is at the Los Alamos County Ice Rink, the only outdoor rink left in New Mexico. We have a refrigeration system that allows us to most of the time keep our schedule until ~ 15 February each year. We start our season sometime in November. We are very proud of our high school team which plays in the Rio Grande High School Hockey League. The head coach, Kevin Brake, is the high school commisioner for the Land of Enchantment Amateur Hockey Association, the USA Hockey Affiliate in New Mexico. At the younger end of the spectrum, our teams start at 4 years of age as an Atom. See more about the teams we support on this page. It is the time of year that we elect at least 2 new or returning members on the board of directors. Two LAHA Executive Board positions are up for election, and the Board is seeking nominations. Anyone may be nominated. The membership votes from the list of candidates, and these Board members serve a 2-year term. Following the election, the five voting Executive Board members meet to decide which positions they will serve during the coming year, i.e., President, VP, Secretary, Treasurer, and Member-at-Large. The positions require commitment and lots of positive energy to help make the association work. These positions are critical to making the association enriching for the players. Nominations will be accepted through Sunday, May 5, 2019. You may re-nominate these two in addition to anyone else. Self-nomination is preferred. If you are nominating someone else, please verify his or her willingness to serve if elected. Please submit your nomination to the executive ( ). Amazon will donate to LAHA in your name. Click for details.